Welcome to the final day of the Papertrey Ink March countdown and the second design team group post day. Today's group post is focused on the Coin Purse and Coin Purse Pockets Dies. 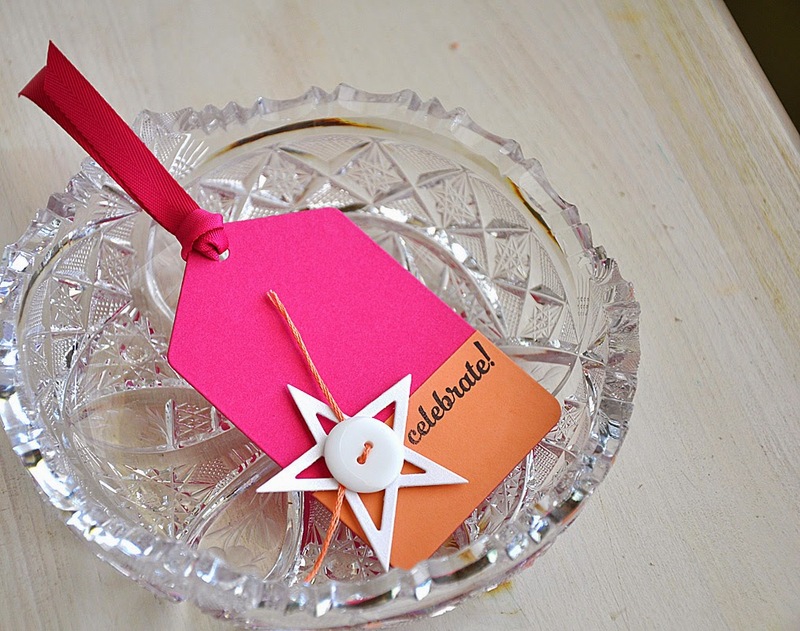 Erin Lincoln has done a stellar job with this creative die collection! I was completely surprised by how easy the coin purse assembly was. And the end results are just too cute for words! My projects for today center around a color-blocked theme. 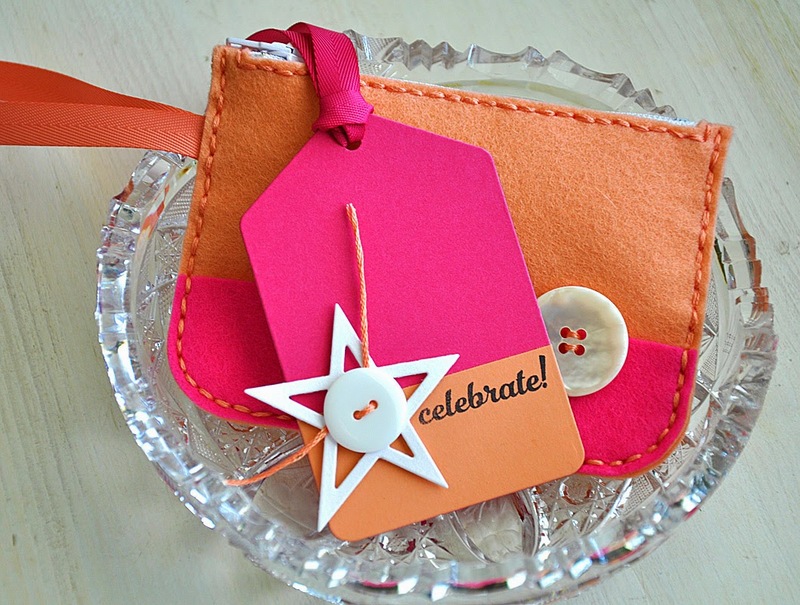 The coin purse and coordinating tag use a color combo of melon berry and raspberry fizz, in both felt and cardstock. 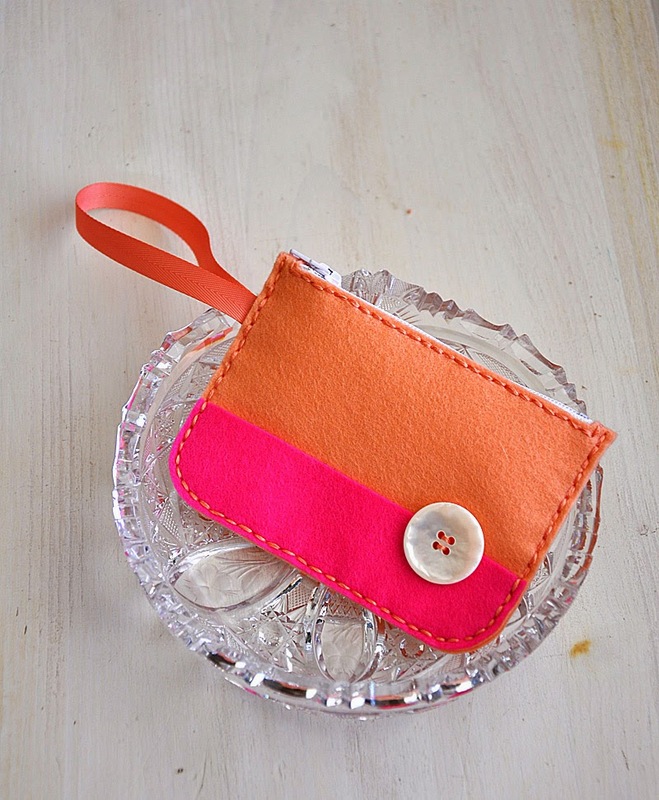 First up, lets take a look at the color-blocked coin purse... or should I say wristlet. The addition of a twill ribbon loop makes it possible for a little hand to be inserted. Here's How: The color-blocked look was achieved by adding an additional partial layer into place, on the bottom edge, and then stitched as you normally would. Next, a coordinating tag to finish off the ensemble. 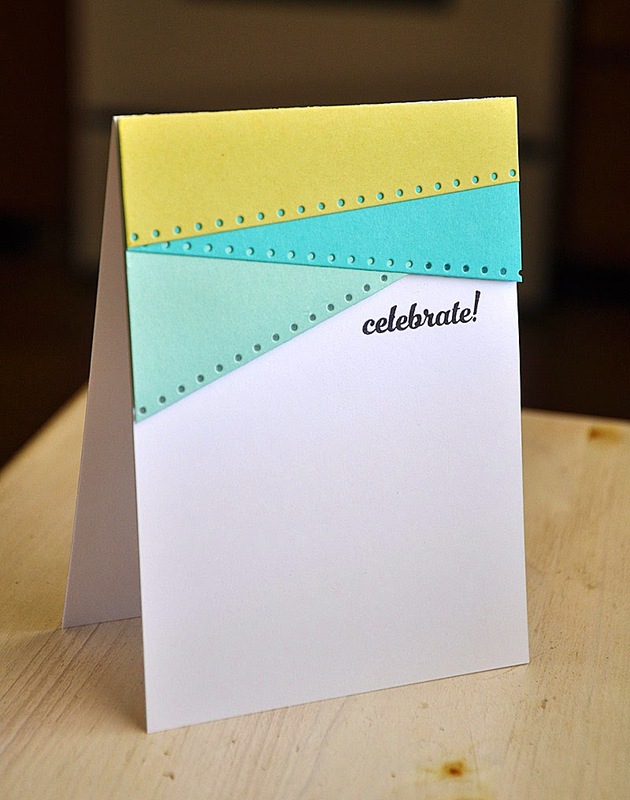 Die cut using the new Tag Sale #10 die and topped with twill ribbon. 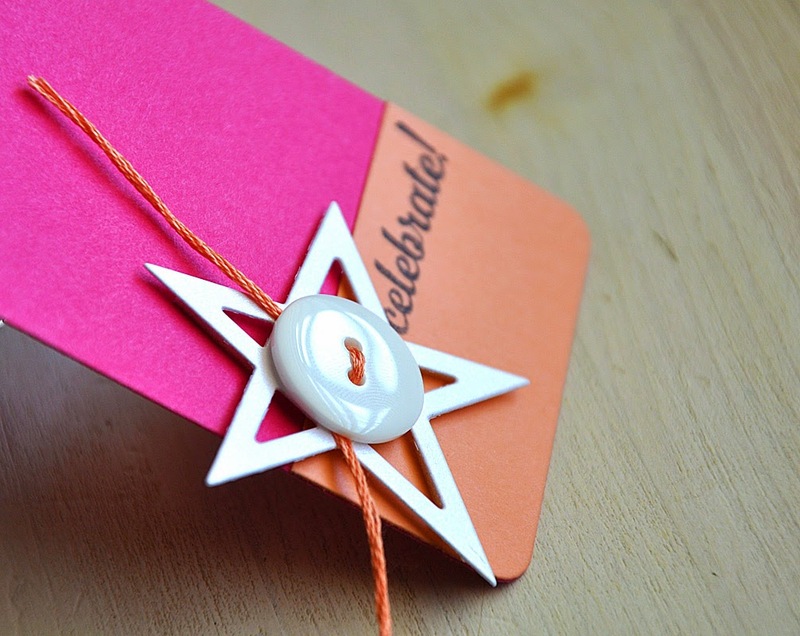 A white shimmer cardstock star (die cut using the Sketched Stars die collection), a white button, melon berry floss and a sentiment (from Birthday Classics: March, soon to be released) to finish things off. Here's a non-traditional use of the new dies. I've used the outer edges of the coin purse die cuts (cut from spring moss, Hawaiian shores and aqua mist cardstock) to layer a fun color-blocked top edge. Well, that's all I've got for you today. Just remember... everything you've seen peek of today will be available for purchase through Papertrey Ink, beginning March 15th. I love the color blocking. Looks very modern! Also, what a unique way to use those dies. 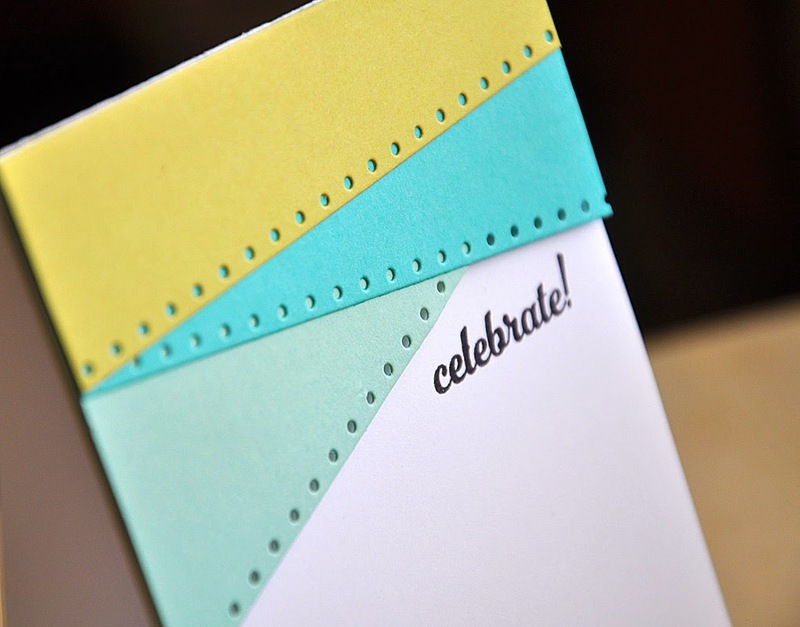 The layered edges look great on a card. What a wonderful take on using the coin purse die. Love the color block idea. Seriously love. So crisp and clean and modern. Wowed with the colour blocking. Amazing card and tag. Your color blocking is so pretty! Your card is stunning. great use of color and great alternate use for the dies! you guys have such creative minds. I love the color blocked coin purse! Love your coin purse!!! Fabulous color combo!!! Hey can you please suggest which website would work well for me if i want to buy Rebecca Minkoff Purse? Any advice would be appreciated.